Hidden Valley Inn's management team, Gladness and Chris Besmehn, welcome you to their new home. 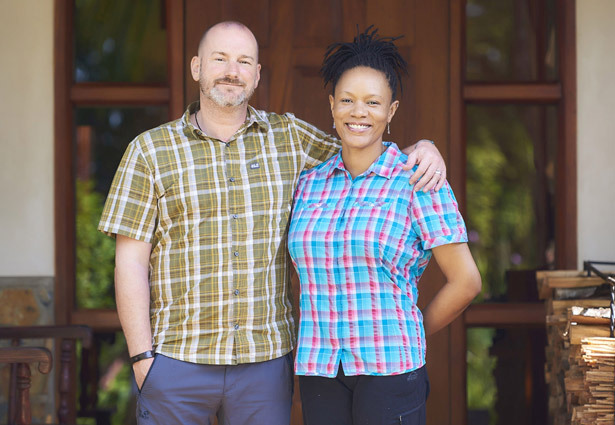 Previously, this dynamic husband-and-wife team worked on Zanzibar, East Africa, where they managed a five-star beach resort. They now bring their warmth and hospitality to Hidden Valley Inn & Reserve. Gladness hails from Tanzania, East Africa and Chris from Germany. Married for 12 years, they have worked in game lodges, hotels and resorts all around East Africa. One notable property is the Arusha Coffee Lodge on Mount Kilimanjaro, a part of the Elewana Collection of 14 award-winning luxury camps, lodges and boutique beach hotels in Tanzania, Zanzibar and Kenya. Upon arriving in Belize in August 2016, the couple immediately fell in love with the country and its wonderful people. "It’s the first place we came to and immediately felt at home." Now they can’t wait to share their love of Belize with you.